The Colorado front range has many perks, beautiful scenery, great hiking and lots of sunshine. Since I’ve moved here though, I was able to experience the sense of community along these front range cities and learn to love it very quickly. I feel that our impressive local music scene is a core glue that not only strengthens our communities, but creates a positive environment for people to get involved and help their local scenes evolve. No better way to celebrate that spirit than a Trichome headlining show at the Aggie Theatre with Technicolor Tone Factory and Genetics opening.The night’s bill consisted of all local bands, with Trichome and Genetics from right here in Fort Collins and Technicolor Tone Factory from Boulder. I’ve seen Trichome briefly last spring, and I haven’t seen the other bands before, so I was going in a little blind. Trichome harbors a electro-funk rock sound with a bit of electronica in there, they can certainly deliver those dance beats.I arrived at the Aggie Theatre a little after 9pm just in time to catch the first opener, Genetics. 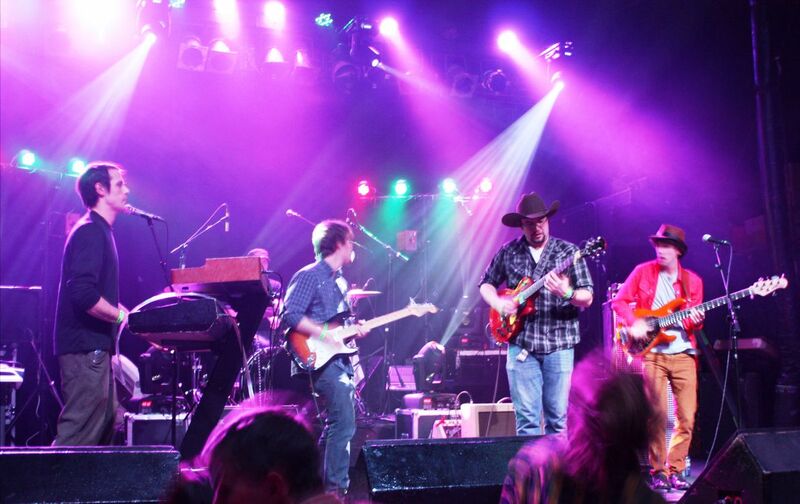 The group played a variety of orchestrated jams ranging from jam rock to electronic to a reggae vibe at times. They played a good set, I was impressed by there ability to switch rhythms on a dime and keep a good groove going. Genetics started the night off on a good foot. Next up was Technicolor Tone Factory, a 5 piece band from Boulder. 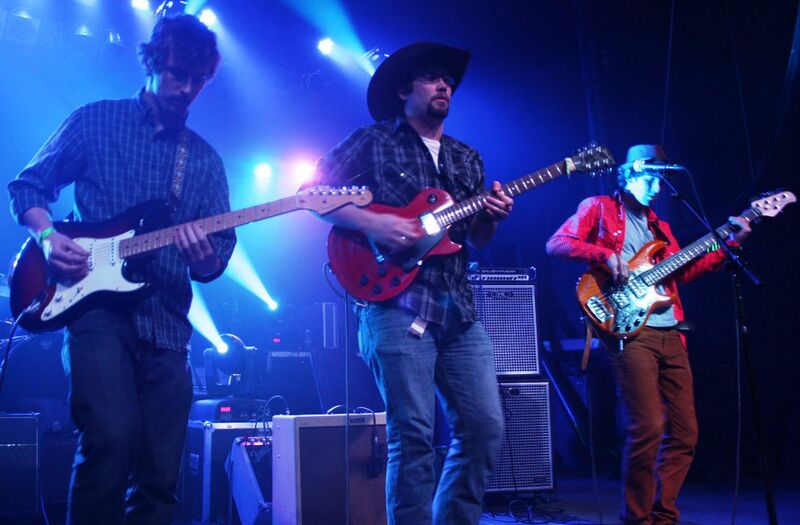 With one guitarist decked out with a large cowboy hat, I wasn’t really sure what to expect. As the set got going, it was easy to see that these guys were packing the heat. They started there set with a jam rockabilly tune, that easily got the crowd moving and into it. The neat thing about this group is there ability to nail out a jam rock tune and transition to a super funky jam seamlessly. Their set consisted of that jam, rock, funk fusion sound and lots of great original material and lyrics as well. The Aggie started to fill up a lot more during the set, and the crowd definitely enjoying the show so far. Technicolor Tone Factory second to last song was a very well done cover of Pink Floyd’s “Have a Cigar”. After that they played one last jam that ended with guitarist, Jarrod Guaderrama, ripping a solo with his guitar behind his head. Technicolor Tone Factory really put on a fun set, and next up was the headliner, Trichome. 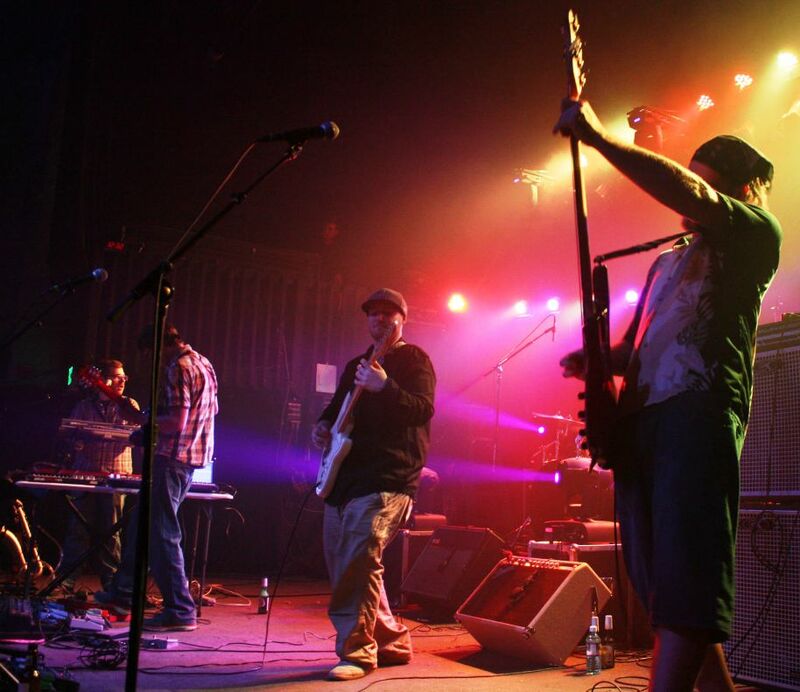 Trichome has been around for a bit now, with their roots originally in reggae, the group has since moved on to it’s electro-funk rock sound. Their sound creates energetic dance music, which is alway a good direction for a band to follow. Trichome is a 5 piece band that consists of Evan Daldegan- lead vocals and guitar, Matt Newhard- lead guitar, David Frediana- Bass guitar, backup vocals, Matt Schooley- drums and Mike Windhamkeys and sax.Their set got started around 11:30pm, and there was a pretty decent size crowd in attendance. There first song was a powerful rock jam with a driving guitar riff entwined in it. Then they moved into an electro-funk jam with laser disco balls going off behind stage. 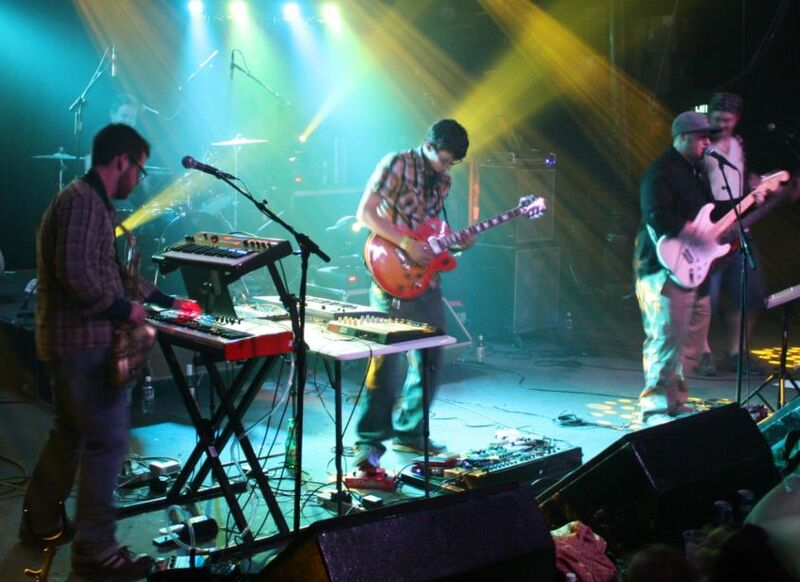 At times lead guitarist Matt Newhard will loop in some electronic textures to really fill in their sound. Soon enough we were greeted to the soulful vocals of lead singer Evan Daldegan as the set started to really heat up. The last time I saw Trichome and this time as well, I was first drawn towards the play of lead guitarist Matt Newhard. It’s easy to see how talented he is, he plays a unique style and is fun to watch as he picks up and down the neck of the guitar. Eventually keyboard player Mike Windham picked up his sax, and really played the hell out of it, I love a funk group with some brass in it. The production of the show was great, I loved the laser disco balls and the rotating led pattern lights. There was certainly a lot of love in the crowd that night, with Trichome playing in front of their hometown friends and family. At one point lead singer Evan Daldegan introduced the band for first timers seeing them, “welcome to the family” he stated. It was easy to see that the band was having a great time, and so was everyone else in crowd.As I looked at the time is was around 1:30 am and Trichome was still going strong. I enjoyed watching the play of bass player David Frediana, he played with a quirky, energetic attitude. A lot of their jams were lead by his funky driving bass lines. Again later in their set Mike Windham ripped some fantastic sax solos, Trichome really brought a full force effort for the show. It was a fun night for all parties involved. Trichome continues to tour around Colorado and are playing again with Technicolor Tone Factory at the Fox Theatre on February 23rd. I recommend this show for everyone who loves that funk-rock jam fusion sound. Trichome recently released a new EP last fall, so check out this band on the rise and help support local music.